Maile Belles had a really cute idea today over at Simply Stamped called divided panels. That inspired me to try that technique with my Simon Says Stamp A2 Curved Edge die. My black panel has been made by scoring with my Scor-Pal and then lightly inking with some white ink and a Ranger mini inking tool. 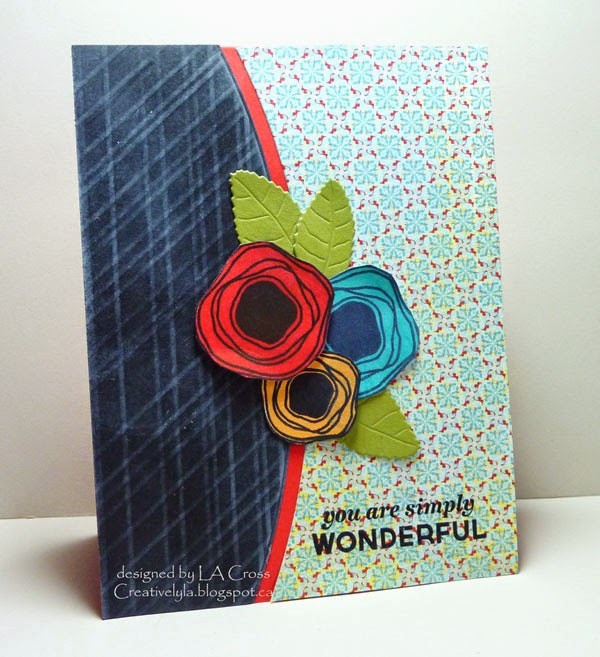 The flowers were simply stamped with the Verve Poppy Birthday set. Don’t you love those flowers??? One of my favorites from Verve! The red poppy has been popped up on foam tape and the leaves have been die cut with the MFT Royal Leaves dies. A simple stamped sentiment and done! This is a stunning card. Love how you used your Score Pal. The colours of your brilliant flowers just pop! Gorgeous result, Lee Ann! I love the pair-up of pattern paper and bold colors!! FABULOUS creation of that black panel!!! ! So glad that you join the fun with Runway Inspired Challenge! A very vibrant and beautiful card, Lee-Anne! I really like your design! So pretty! Love your choice of patterned papers! This is so pretty 🙂 I love the chalk board look on the semi circle ! Oh, this is gorgeous, Lee Anne! Fabulous take on the sketch & inspiration photo! Love this! Gorgeous take on the sketch! This is awesome!! 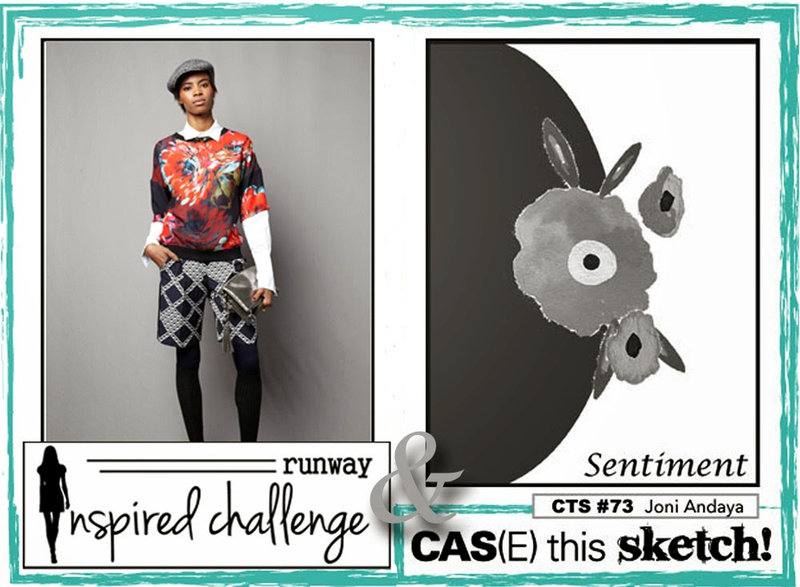 I love how you included the photos from the fashion piece, and coordinated it beautifully with the sketch – outstanding! !